Light up your room with an iconic symbol from the hugely popular Legend of Zelda! 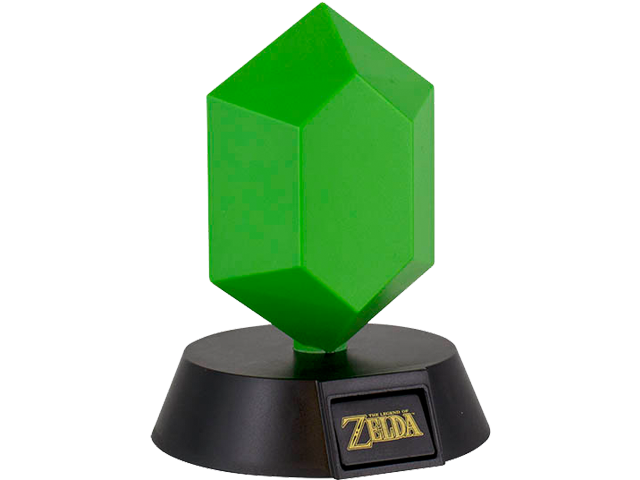 The Legend of Zelda™ Green Rupee 3D Light takes its distinctive 3D design from the green colored rupees found throughout the Legend of Zelda series of games. Measuring approximately 10cm from base to tip (approx. 4") and powered by 2 x AA batteries (not included), the Legend of Zelda Green Rupee 3D Light is a perfect addition to any fan's bedroom.